Q: What are search engines? A: They are programs that are used to search and surf the Web. A: Search engines keep databases and search the Web for sites devoted to particular topics. If you type in a phrase or question and press "go" or "search" within a second a list of sites containing those words will come up. You might well find that there are millions of sites containing those keywords. Q: Why don"t search engines search the whole Web? A: There are now billions of sites on the Web with many more added each day. The search engines deliberately exclude some sites, e.g. spammers and sites with dubious content. Q: How do I make sure the search engines know about my site? A: You need to include keywords which will be picked up by the search engines (through our Search Engine Optimisers). If you are willing to pay, you will have more prominent listing options. Q: Which are the leading search engines? A: The most commonly used are Google, Yahoo, Bing, Ask and Lycos. Q: Why should I pay for a listing? A: Your site can be included within 24 hours. You have more control over the words you're found for. 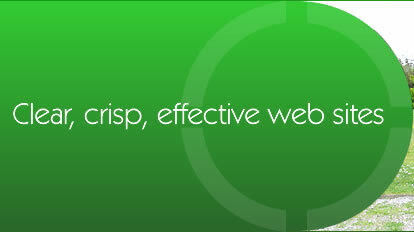 You gain valuable information about the visitors to your site and the cost per conversion. Q: Why should I list on more than one search engine? A: Leading search engines integrate results from others. Being on more than one therefore helps you up the "hits" league table. Q: How do I make sure my site comes high on the search lists? A: By having a well-written site which includes keywords and phrases and by keeping the site regularly maintained by Search Engine Optimisers who specialise in such maintenance. Q: I've seen people guarantee to get me to Number One. A: This will depend on the kind of search: generic or specific. If your keywords are unique then there will be no problem. Coming top with general keywords is the challenge. Q: What about "We submit to 1000s of search engines for just £49"? A: Leading search engines ignore automated submissions so don't waste your money. Search engines can be fooled temporarily by techniques such as "keyword stuffing", hidden text, redirects, page refreshes, cloaking and external hosting of fake pages but any site using these tricks will eventually be penalised and possibly blacklisted. Q: Which are the best search engines? A: Check our search engine summary page for some of the most popular search engines.